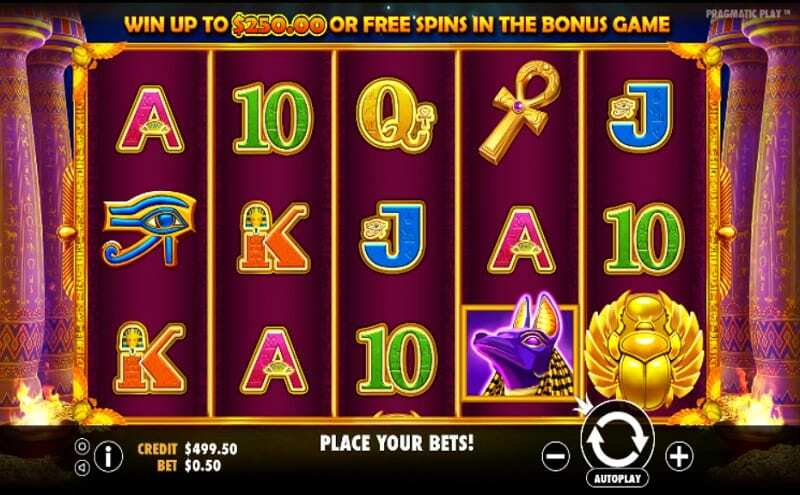 On WS there are many different casino slots out there that are themed around Ancient Egypt, however none other places you right inside the pharaoh’s treasure room like this one from Pragmatic Play. Hopefully, there will be plenty of luck for you from the gods and high priestess as you spin the reels to see how many gold and jewels you can walk away with. Thankfully, the game has a very simple setup, so you shouldn’t find it too difficult to bag the cash. Pragmatic Play is known as one of the best developers of casino slot games in operation right now. 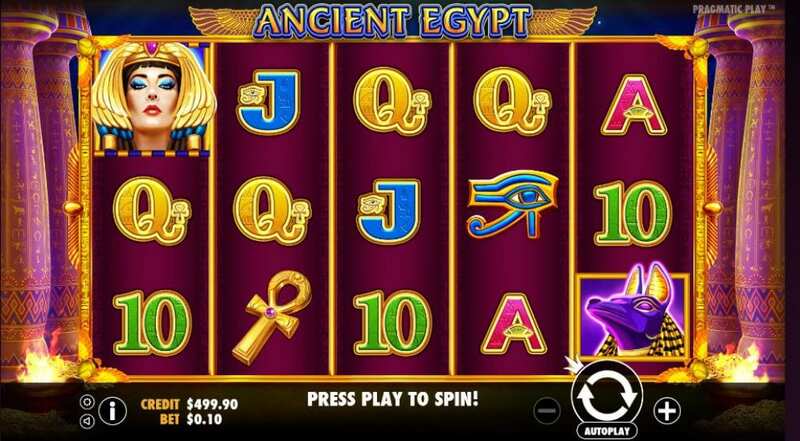 Take a look at their Ancient Egypt slot, and you will see that it is very easy to see why that is. The gameplay is innovative with an extremely slick graphic design. Most other Ancient Egyptian themed games can feel quite tired and old-hat, but not this one – all of the bonus features that Pragmatic Play has added help Ancient Egypt feel fresh and inviting. Find slot games here for more casino games by Pragmatic Play. As previously mentioned, you’ll be playing this casino slot game in the place where all the gold is stored – the pharaoh’s treasure chamber. What better location to try and bag yourself some hefty pay-outs? Unfortunately, though, you won’t see much of this great room as it is largely hidden behind the big game board. Even though there are only five reels, they still manage to take up most of the screen! You’ve also got a modest ten pay lines to try and win on. Start playing this ancient themed game to enjoy the best spin slots this game can offer. The aim of the game is to match up the reels’ symbols along the pay lines. Ideally, you should try and match higher-value symbols as they will bring you the biggest payouts. In this game, the numbers and letters are low value while all of the picture symbols are high. WILD SYMBOL – The scarab beetle is the game’s Wild. If it falls on the third, fourth or fifth reel, your payout will be multiplied. SCATTER SYMBOL – In actual fact, the scarab symbol has a dual role in this game – it also acts as the Scatter. Whenever it appears on the board, you’ll trigger a bonus round. For this, you need to pick one of three boxes. Depending on your choice, you could benefit from some impressive multipliers or ten free spins. When you spin your freebies, one of the symbols on the reels will expand and cover the entire reel. This should help you win more pay-outs.